Dawn Spencer Hurwitz Pink Gardenia: In the Beaux Arts line, with notes of bergamot, gardenia, tuberose, ambergris and musk. It starts very light, with a touch of bergamot. The gardenia note comes on next, but stays very soft and low, then fades into a tuberose blend with a warm musky dry down. Much softer than all the white flowers might lead you to assume, and nicely done, although I prefer her Nouveau Gardenia. Pas Simple Light Gardenia: This one has notes of gardenia, hibiscus, hyacinth, ginger, musk, citrus, and cedar. The top notes are very grassy and green; it dries down to a subtle tropical fragrance with a hint of gardenia — no heady white flowers here — and a persistent clean note that reminds me a bit of dryer sheets. They also make a Dark Gardenia, but I have not tried it. Montale Intense Tiare: I don't know what notes this has, but it smells mostly like monoï, which is made by macerating Tiare (a variety of gardenia) petals in coconut oil. It starts very strong and sharp, with just a hint of coconut; over the next few hours, the coconut intensifies, and the gardenia gets softer and warmer. Smells just like a tropical vacation, and the lasting power is excellent. Floris Gardenia: Floris describes this as "fresh green fruity top notes, blended with a floral heart of Gardenia, Lily, Cyclamen, Tuberose and Jasmine, with warm base notes of Sandalwood and Labdanum to ensure a well blended and lasting accord." The top notes are in fact very green and fresh; the gardenia is very light. The fragrance warms up on the dry down, and is pretty, but a little flat. Isabey Gardenia: The notes are tangerine bark, ylang-ylang, orange flowers, gardenia, Bulgarian rose, jasmine, iris, musk, ambergris, and sandalwood. This is a 1920s fragrance, reissued by Panouge. I have no idea how close it is to the original, but it has a classic, old-fashioned feel. It starts with gardenia, sweeted by ylang with light citrus and orange blossom, and settles into a rich, deep floral with lots of jasmine. The dry down is smooth and creamy with the tiniest hint of powder from the iris. A really beautiful perfume with a price tag to match ($240 for 50 ml at luckyscent, or €365 for a limited edition bottle of extrait at first-in-fragrance). 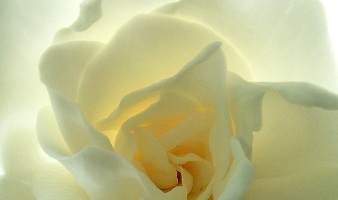 Note: image is Gardenia 1 by chidorian at flickr; some rights reserved. It is meant to evoke a pearl, and so I suppose the EdP bottle is supposed to be another take on that? But you're right, it is light-bulb-ish. Yea! I was so excited to see another gardenia fragrance post. I'll have to check these out, although I doubt I'll find the Isabey! I also have to find the Jo Malone Vintage Gardenia! =) I'm still loving my Marc Jacobs, even if it is a little simplistic. Oh, I had my sound turned down…will have to go back now to hear the music!! I enjoyed the last three. Have yet to test the first two. Am a bit off gardenia at the moment and am loving SL Un Lys – perfect for this weather. N, Un Lys is gorgeous. I've got to start reviewing the SLs…they are just more “work” than most, so I keep putting them off. so many gardenias i didn't know about. i have like thrity already, now i have to buy ten more…thanks a lot! although the reviews help immensely since i tend to go for the heady ones, not the transparent or fruity renditions. why is it that there are so very many frangrances based on gardenias, tuberoses, and jasmine, yet almost none of lilac? or my personal favirite slower, stephanotis? is it harder to extract those oils, or are the scents just not as popular? hmm. Wow, 30 Gardenia fragrances, that is impressive! Lilac — not so sure. Maybe it is just out of favor? There is of course Sha, and En Passant, but you are right that there is not a huge number on the market right now. Stephanotis is lovely, I used to grow it on my balcony in San Diego. No idea why there aren't many. Parfumsraffy lists a Crown Stephanotis, and Floris used to make one as well but don't know if they still do. Well, I was about to post my very first comment on this blog (or, indeed, on any blog at all, ever!) – about gardenia perfumes; but I've read to the bottom now and see that I must first whine about Culpeper of London: they used to do a wonderful Stephanotis water – a single flower – that has now been discontinued. Boo! Apologies – I’m too tired to write good copy right now; but if you like pure, unadulterated gardenia scent, then IMHO this one is really worth a try. You can find it on the Yves Rocher home page. I think it’s about $27 a bottle right now, but I bought mine in France two years ago on a special 2-for-one offer between Christmas and New Year; with the US dollar as then was against the Euro, it came to an unbelievable $8 or so a bottle – woohoo! I have not tried the Yves Rocher, but they have a store near me so will try it next time I get to a mall. And yes, they have huges sales so often, that it is crazy to ever buy anything there full price! I got my Isabey from Beauty Habit. Perfumed Court has it too. I find it overwhelmingly sweet, and cannot detect the gardenia in it at all. To me it smells like a floral bouquet; not a all tropical and not at all gardenia. Reminds me of something my grandmother would wear. I had such high hopes for this, maybe because of the price. I wondered if someone poured the wrong scent in my sample vial, but I checked out some other reviews and there were other opinions similar to mine. What a shame, I really like the Isabey very much. Isabey's Gardenia is absolutely beautiful, I have a sample from les senteurs, London. I don't WANT to love it too much, as I will never be able to afford a full sized bottle. Boo. I'm sitting on white sand, with blue tahitian skies above, with this creamy exotic gorgeousness wafting around….. I just tried the Montale Intense tiare–not a traditional gardenia scent, but very rich and tropical. According to the Montale site it has notes of “vanilla absolute, jasmine powder, coconut milk, ylang ylang and roses”. I don’t know what “jasmine powder” is, maybe Tahitian monoi, but all the other notes are recognizable and make a delicious and multi-layered blend. Interestingly, it smells like an Yves Rocher that I picked up recently–if you like this type of scent then you’ll enjoy YR Jardin des Iles, which is a much simpler and far less expensive version but still captures the coconut / vanilla / ylang-ylang / tiare blend. Like many scents in the YR line comes in a spray, body oil and a shower gel which maybe I’ll layer with the Montale. The YR gardenia, as a poster above commented, is one of the closest approximations of pure gardenia scent to be found. After a while real gardenias leave me with a cloying note and I have the same problem with the YR–I find it that authentic. I’ll have to look for the Jardin des Iles, thanks!